Researchers at Georgia Tech are developing Tarzan, a sloth-inspired autonomous robot that can gather crop data from above. Innovation is often born out of necessity. At a four-acre test field near Athens, Georgia, plant genetics researchers from Georgia Tech spend every summer in scorching heat measuring crop growth and testing phenotype variations. They are trying to develop the drought-tolerant crops of the future. It’s hard, monotonous work. 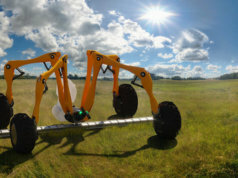 This summer, colleagues from the university’s School of Mechanical Engineering will be joining them in the field, along with a team of sloth-inspired autonomous robots developed to ease the workload of millions of farmers worldwide. Tarzan robots take inspiration from the natural world. They’ve been designed to imitate sloths and gibbons by swinging across and along parallel guy-wires. The robots will make their way along the cables while fitted with cameras, capturing each plant from above as they go. 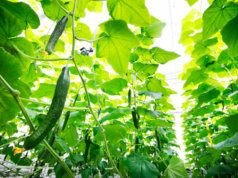 It’s hoped that in time they will autonomously carry out repetitive crop monitoring tasks with more speed and efficiency than researchers on the ground. A statement from Georgia Tech outlines the team’s vision, which is that, in time, researchers will be able to gather more frequent measurements and avoid laborious field work. 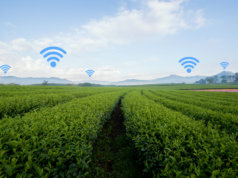 It’s easy to see how a system such as this could be rolled out around the world, with farmers assessing data in real time while Tarzan does the work. 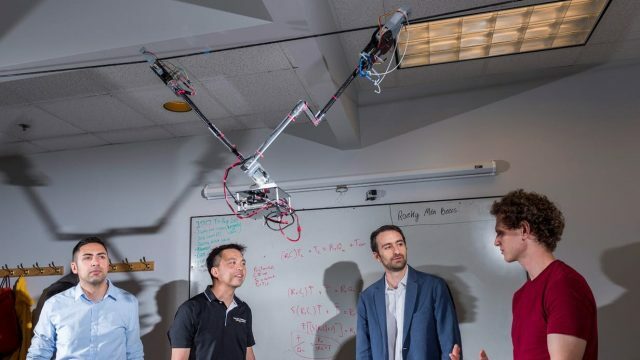 Game-changer – or just quirky robotics? 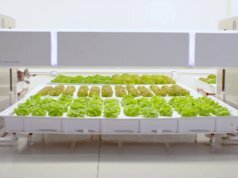 Although it’s clear that Georgia Tech’s swinging agriculture solution could do a job in the field, it’s difficult to say whether it will be an improvement on current autonomous technologies. On the one hand, this is an all-in-one exhibition of progress in robotics technology. The design imitates a sloth’s leisurely hand-under-hand technique and uses 3D-printed claws to hold onto the wire. The efficient swinging motion helps it use less energy than conventional robots and instead rely largely upon its own momentum. In time, the research team suggest that solar panels could be added to keep the Tarzan robot out in the field for days at a time. But many farms already have autonomous systems in place to monitor and sustain crop health. Aerial drones are widely used to gather data on plant health from above, with relaxing regulations and advances in both hardware and software only going to improve over time. 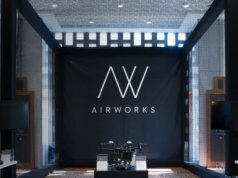 Manufacturers such as DJI are also developing autonomous systems that can cover huge areas at a time while spraying crops with nutrients and pesticides. It’s also unclear how the Tarzan system would provide better crop coverage than a camera dolly, using simple wheels instead of sloth-inspired locomotion.